With the holiday weekend approaching, GreyBeard Realty wanted to take time to wish everyone a very Happy Fourth of July. There’s always fantastic events going on for Independence Day, and this year is no different. Celebrations kick off a few days early with 50th annual Shindig on the Green on July 2. Bring an instrument to play or just bring yourself for this fabulous gathering of music producing and culture enjoying clan at Pack Square Park. Then, Pack Square Park has its annual fireworks display at 9:30 PM on Monday, the culmination of a day’s worth of activities including live music and food. Another option is the huge firework display after the Asheville Tourists’ game on Monday. If you’re interested in this be sure to purchase tickets ahead of time as they tend to sell out. Other 4th of July events include Chimney Rock Family Fun weekend and the annual Independence Day Fireworks hike with the Swannanoa Valley Museum, which requires advanced reservations. Of course, GreyBeard welcomes you to our annual Montreat Parade of Homes on Sunday, July 3rd from 2-4 p.m. which features five Montreat homes for sale. To start the tour, simply go to one of the homes listed on the parade sheet, and you can pick up a map to the other homes. We will have representatives at each home to answer any pressing questions you might have. You may be able to make your own declaration of independence if you find your dream Montreat home. Montreat makes a fabulous place to live and congregate. And that makes Greybeard Realty’s 103 Shenandoah Terrace, unit 1407 listing a fantastic option for anyone with a larger family or with a desire to purchase a vacation rental home. 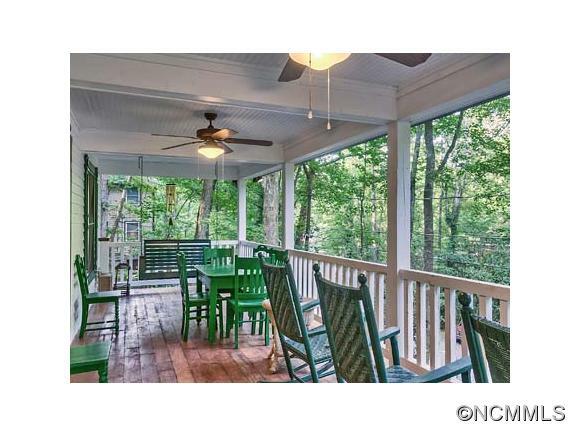 This lovely post-and-beam home, constructed in 2002, has solid, newer construction that captures the historic charm of Montreat. The open-concept great room on the main floor has a stone fireplace as its focal point. The master bedroom, located on the main floor as well, has access to the screened porch on the deck. Upstairs, in addition to the four bedrooms and two baths, there’s a loft/sitting area that overlooks the great room. The basement, in addition to a one-car garage, has a full bath as well as an unfinished room for storage or potentially additional living space. Information about this five-bedroom, five-bath home’s vacation rental history is available. Montreat, for the uninitiated, is a quiet, comfortable community with wonderful paved paths and access to fabulous hiking trails. If you want to know what’s involved with buying a vacation rental home and check out the Greybeard Realty webpage. And please take a moment to check out our website if you want to see Greybeard Realty’s other vacation homes for sale. How many times have you wished you could just pack your suitcase and move into your own Montreat home? Well, here’s a listing at 122 Kanawha Drive that will let you do just that. This three-bedroom, 2-bath cottage comes furnished and move-in ready. And with its low maintenance yard and easy accessibility, you won’t have much to worry about once you arrive. Located near the historic Montreat gate, this lovingly updated cottage would make a terrific full-time home, a second home or a vacation home. The centrally-located great room with a living and dining area opens to the kitchen and sunroom. A Level entry provides access to this home, and there is off-street parking and a carport. This conveniently located cottage, only three minutes from Black Mountain, offers easy access to Montreat hiking trails, Lake Susan, and Montreat College. Montreat is a quiet, small community that has more than a century of history attached to it. And while it makes an optimum location for a permanent home, it also serves as a wonderful vacation locale, meaning that this home could also join the other Greybeard Rental Montreat rental cabin listings. Learn more about Greybeard’s Property Management Services and take a look at some important aspects of buying a vacation home. If Greybeard can be helpful in assisting you with any additional information, please don’t hesitate to contact Greybeard. 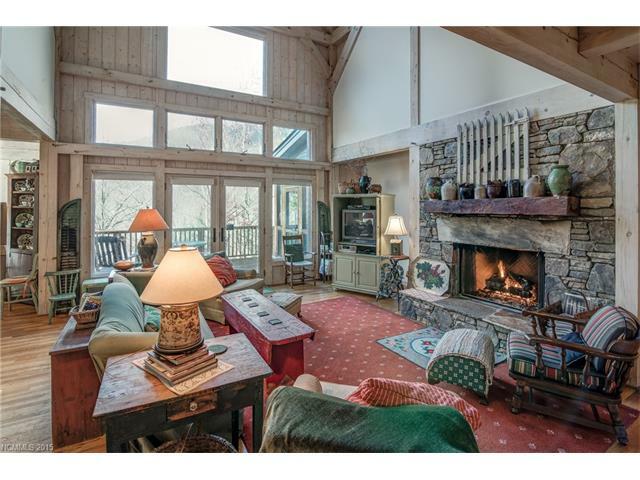 Montreat Vacation Home Could Be Your Own "Old Kentucky Home"
With winter upon us full force, it is time to start planning for summer. And what if this summer, instead of renting, you actually had a Montreat vacation home? Spend some time there yourself, and then generate some rental income to help with expenses. If you crave charm and comfort, look no further than 420 Kentucky Road. This lovely cottage, built in 1919, has been beautifully upgraded yet still maintains its historic charm. 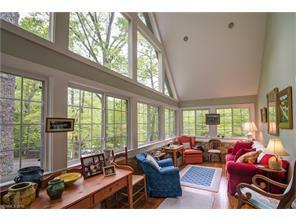 This four-bedroom, two bath home is a short walk from Lake Susan and Montreat center. And if you're a hiking family, take advantage of the many Montreat hikes, several of which are accessible from this delightful house. If you're considering purchasing a NC vacation home, please take a look at our "buyer's website" which talks a bit about the process. And to see what other vacation properties Greybeard Realty has listed, please click here. For more information about rental property management, please take a moment to look at our Greybeard Rentals website. Isn't it time you had your own Montreat vacation home? This time of year, everyone loves a parade. To do its part, Greybeard Realty is hosting its annual parade of homes. Come by Sunday and join us for the Montreat Open House Tour. This annual event opens selected Montreat homes for sale this Sunday, June 28th, from 2-4 PM. To start the tour, stop by Greybeard’s office or any of the Montreat homes with “Open House” signs out front. From there, you can take a self-guided tour to all of the featured homes. 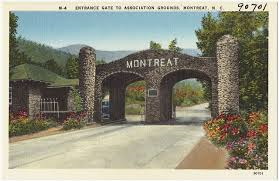 Montreat, a peaceful, quiet community, has windy roads, walking paths, and some of the best hiking trails in the area. This small town is a great year-round option, though it may be better-known for its NC vacation appeal. If you’ve considered relocating or investing in a NC retirement or vacation home, you should take advantage of this tour opportunity. Head out Sunday afternoon and see a great selection of Montreat homes, all in one afternoon. For more information, please contact Greybeard Realty. And if you can’t make it this year, then check out Greybeard’s Montreat homes for sale webpage. This may be your best chance to buy a NC home in one of the best little towns in NC. Fourth of July means fireworks, cookouts, and parades. In keeping with our tradition of celebrating the occasion, Greybeard Realty again will host a parade of Montreat homes for sale. On Sunday July 6, a listing of varied homes will be open for touring, providing potential buyers with a chance to check out a great selection of what's available in the community. Enter the Montreat Gate and discover the magic. For the uninitiated, Montreat is a small, historic town with walking paths, mountainous terrain, and a genuine sense of community. When you drive through the stone entry gates, you immediately see the special qualities living here offers. Whether it's the natural beauty of the rhododendron and Lake Susan or the sense of community visible at the creekside playground and the ice cream shop, the character of Montreat will draw you in. Perhaps you are ready to relocate your family to a small, safe community. Perhaps you grew up summering in Montreat and now you are ready to retire there. Or maybe it's time for a vacation home of your own after renting for years. Regardless, the Greybeard Parade of homes in Montreat allows you to see a large number of homes at once and really understand what's on the market now. Click on the link for a preview of all of Greybeard's Montreat homes for sale. To begin the open house tour, you can stop by any of the houses featured in the parades, marked by Greybeard signs, or come by the Greybeard Realty office located at 204 East State St. in Black Mountain to get a copy of our flier and head out to the tour. Each home will have someone available to answer questions and direct you to the next home that best suits what you're looking for. Step out and take advantage of this special celebratory parade. If you'd like to tryout a Montreat home before you buy it, Greybeard Realty has just the home for you. Sabbath Rest, recently highlighted in a Greybeard Rental blog, sleeps eight. 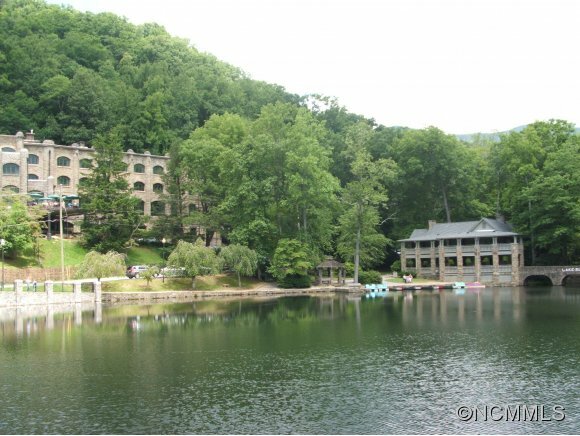 And its convenient location an easy walking distance from Lake Susan allows its guests to really get a feel for Montreat and what's it's like to be a part of this small mountain community. 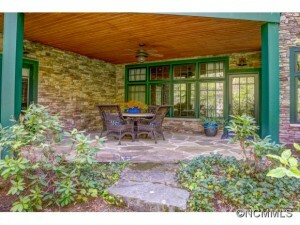 Special Montreat rental home for sale. Sabbath Rest, recently listed for sale at Greybeard Realty, offers a unique opportunity for potential buyers. In this case, you really can try and then buy this home. With several outdoor spaces, a nearby creek, and a fully-equipped kitchen, this home is move-in ready. As mentioned in a Greybeard sales blog, trying out a town by renting a home there is a great way to get to know the character and feel of the community. And in this case, not only can you get to know the community, you can get to know the actual home! The town of Montreat, just east of Asheville, is centrally located in the western NC mountains. Known by some as the front porch of the NC mountain area, Montreat has bike/walking paths, no traffic lights, and some of the finest walking trails in the area. With its proximity to Asheville, Montreat provides quiet, peaceful living with easy access to larger city life just 15 miles away. If you want a chance to stay at Sabbath Rest for a week or so to see what it would feel like to be a Montreat homeowner, why not try this rental. If you've already been to Montreat and want a home that is ready to move into and has a rental history already, then contact Greybeard Realty. How often do you get a chance to try and then buy a Montreat home?